"My husband and I recently got married at Alnwick Treehouse in Northumberland. With this being a very quirky venue we didn’t want just an ordinary wedding. When it came to selecting a wedding accessory I didn’t want the norm, I wanted something unique and different. 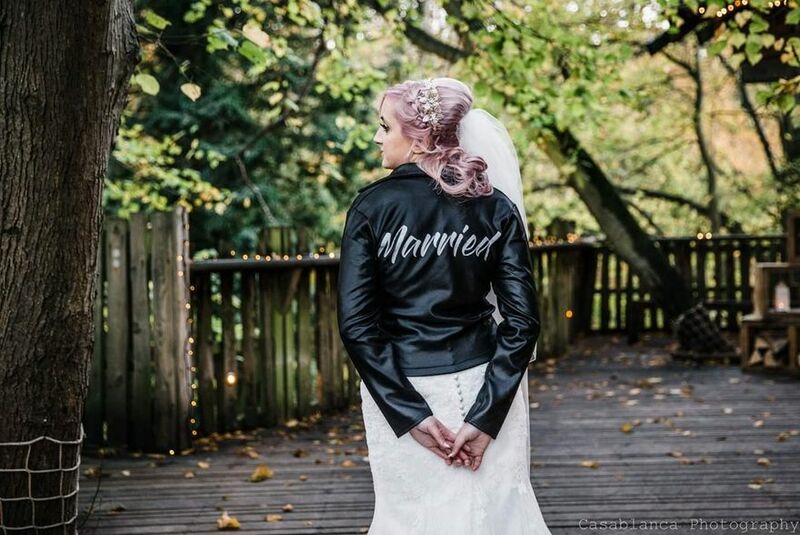 I found a lot of stores do the norm and traditional as this is what every bride wants.... but I wanted something different that would fit with my Autumnal theme and that was more me. I saw a wedding piece and had my eye on it for months, however, was not expecting what I ended up with. I went shopping with one of my bridesmaids to go and see this piece but before we went we called in Paris Dress House in the Metrocentre. We browsed some bridal pieces and one really caught my eye, however I didn't want to try it on in the store as I still wanted to check out this other bridal piece. As I was about to leave the store I was approached by a shop assistant who was lovely. She talked me through the Linzi Jay range and I told her I liked a particular piece, she helped me try it on and I knew that was the one for my wedding, I felt a million dollars and no one could take the smile off my face. 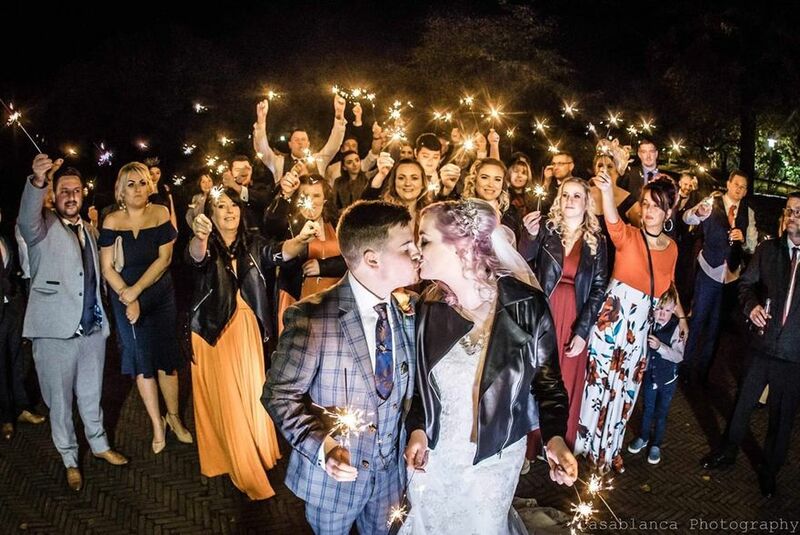 When I got home I couldn't wait to show it off to everyone and they loved it just as much as me"
Here are Shanice and her husband on their wedding day and she looks absolutely amazing. 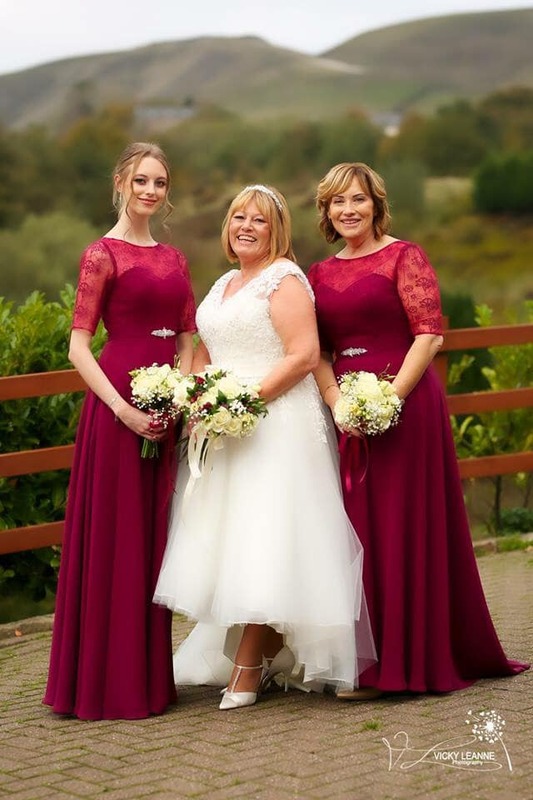 My younger bridesmaid has had serious health problems and at one point we didn't know if she would be well enough to be a bridesmaid but she made my day by being there and it was absolutely perfect"